The 53rd season has officially come to an end with once again the New England Patriots reigning as Super Bowl Champions. The members from the Patriots roster were standing tall after their 13-3 victory over the Rams. However, there was one person who was left out and that is star wide receiver Josh Gordon. 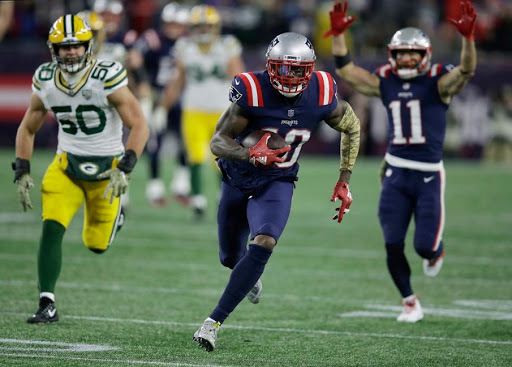 Rewind back to the first quarter of the Patriots Week 15 matchup with the Steelers, Tom Brady dropped back, faked the run and threw over to top to Gordon for a gain of 19 yards for his last catch in what could be his brief NFL career. Now Gordon finds himself at home celebrating what would have been his first Super Bowl title. The news was first reported on December 20th that Gordon was going to step away from football to focus on his mental health. This tweet came out just prior to the NFL announcing the news that they were taking an action and suspending the star for violating the league's substance abuse policy yet again. If you can recall, Gordon was convicted of DUI back in 2015 and due to the league having a zero tolerance attitude towards substance abuse, Gordon found himself suspended for the entire 2015 and 2016 seasons and missed a majority of 2017. Gordon has been suffering from stress and anxiety for years now possibly contributing to his use of substances. From camp to the preseason to the regular season, there are plenty of opportunities to create stress for Gordon. Learning new ways to cope with stress, without alcohol or marijuana could help Gordon get back on track and back to the field. The goal behind stress management is to learn ways which can be useful to help athletes control their stress and anxiety issues. Regardless of the sport, there are many factors which can cause an athlete to experience stress or anxiety. The commitment of long seasons and daily practices cause constant wear and tear on an athlete’s body. The physical and psychological demands, paired with constant expectations of perfection, could be enough to push certain players past their limits. In order for athletes to get ahead of this and become healthy they need to find ways to deal with stress without harming themselves or the people around them. Some of these ways to cope are and are not limited to; engaging in pleasurable activities, taking care of their body, maintaining a positive perspective on their lives, practicing yoga or other relaxation techniques, reaching out and talking to others, and finally seeking help from a professional. There are many times that the athletic trainer or coach is the first person the athlete turns to when they are stressed out, because they understand that not many athletes know how to properly handle their stress. Unfortunately for Gordon, his inability to seek help has found him back abusing drugs and under the microscope once again. Learning to cope with stress and anxiety are vital to an athlete who has to perform in high pressure situations. The ability to control these feelings without abusing substances is a big step to them having success on and off the field. If you or a loved one is currently suffering from mental health issues and resorting to substance abuse, please feel free to contact us here at The Southwest Council. 2019 is here and it's time for a fresh start! Each and every year people around the world make their New Year's resolutions, attempting to get a fresh start to the year that is ahead of them. Regardless of what the resolution may be, many people (including myself) have a hard time following through with what they planned to change. It can be tough breaking the old, bad habits that we have established over time, but luckily there are some tips and tricks that can help individuals stick with their initial resolutions throughout the year. 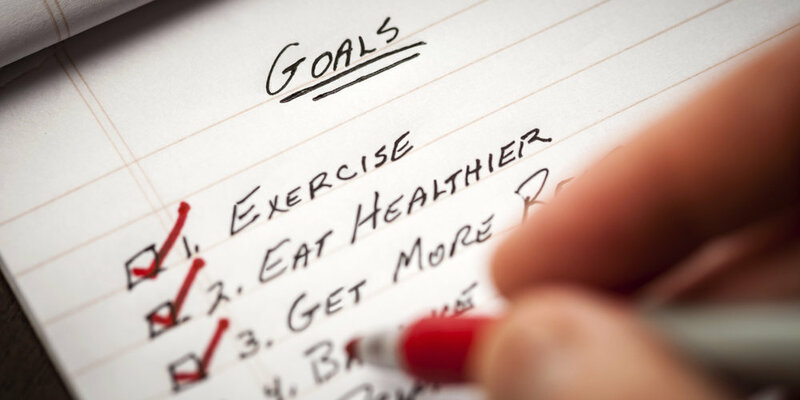 According to the American Psychological Association (APA), when it comes to making the initial resolution it is important that we start small with goals, focus on changing one behavior at a time, not to beat yourself up if you lose track, and ask for help when you need it. Once you establish a resolution that is reasonable, in comes the hard part of keeping your word and sticking to that resolution for more than a few days or weeks. It is a great idea to evaluate your behaviors and understand what things you can change in order to live a better, healthier, happier life, but no one ever said that this would be an easy task. So you might be asking yourself “Where do I start with sticking to my resolution?” These next few tips won’t guarantee a successful New Year’s resolution, but they can help pave the pathway to changing those bad habits into good ones. First comes first, identify what might trigger your bad habit. If your resolution involves avoiding fast food, your trigger might be the sight of the McDonald’s golden arches when you are on your way home, if it is consuming less alcohol, maybe the trigger is seeing alcohol within your house. Once you find out what your trigger could be, it is important that you try your best to stop the trigger from happening. If seeing McDonald’s arches on your way home has you craving a Big Mac, chose a different route when driving home. If seeing alcohol in your home has you preoccupied with fixing a drink, try storing it somewhere that it is less visible in order to lessen the temptation. When the trigger is unavoidable, you can try to replace the negative behavior that the trigger causes with a more positive on. When the thought of fast food or alcohol enters your head, try to associate it with something else, like healthier foods or drinks. Of course this is easier said than done, but that is why the last thing you must do is be as persistent as possible when it comes to avoiding the behaviors you’re trying to change. By pushing through temptation, and maintaining persistence with your new and improved behaviors, you will be swapping out those bad habits for the good ones in no time! The Southwest Council, Inc. promotes healthy living skills and character building information to both youth and adults throughout the Cumberland, Gloucester, and Salem counties. We present on a wide range of topics including goal-setting, decision making skills, and ways to avoid the pressures around you. To find out more information about the healthy living topics we promote, visit www.southwestcouncil.org/our-approach/ or give us a call at (856)-794-1011. Throughout 2018, GRASP Coordinator Candice Carter and her Gloucester County Coalition worked vigorously dedicating countless hours towards fighting the opioid crisis. Most people do not know that 2 in 5 teenagers believe prescription drugs are “much safer” than illegal drugs. Every day in the U.S. an estimated 2,500 youth take a prescription pain reliever for the purpose of getting high for the first time. The abuse of prescription painkillers often leads to the abuse of heroin. A common way that individuals are getting their hands on these drugs is by simply going into their home medicine cabinet. When left around the house, unused or expired prescription medications are a public safety issue, leading to abuse, environmental harm and accidental poisoning. Account - take inventory of your prescription and over-the counter medicine. Secure - your medicine chest and prescription drugs. Dispose - of your unused, unwanted, and expired medicine in your home or at an American Medicine Chest Challenge Disposal site. Take - your medicine(s) exactly as prescribed. Talk - to the children in your life about the dangers of prescription drug abuse. One of the most important words on this list is “Dispose”. Individuals often hold on to medication because they forget they have the medication or they are unsure how to dispose of the medication. Medications are commonly flushed down the toilet, but in fact unused drugs that are flushed can contaminate the water supply. Proper disposal of prescription drugs not only saves lives, but protects the environment as well. Take accountability for your prescription pills, by properly disposing of medications no longer being used. The GRASP team made sure that this would be a simple process as they partnered with local Gloucester County police stations to provide drop boxes to every township within the county. With the installation of the drop box, local police departments add an additional resource to the fight against drug abuse and especially the opiate crisis. Each of the departments invites residents, businesses, and other partners in the community to use the drop box to prevent dangerous medications from falling into the hands of children or people suffering from addiction. Robert has been with the Southwest Council, Inc. since January of 2018 and serves as an Alcohol, Tobacco, and Other Drug Prevention Specialist. Robert provides evidence-based school and community wide-programs in Cumberland, Gloucester, and Salem County. He also assists in facilitating Camp YEY. When Robert isn’t hard at work he enjoys coaching his youth and high school baseball teams, as well as spending time creating memories with his friends and family. When someone thinks of gambling, the first place that pops in their head is a casino, which only permits people over 21 to play, but casinos are not the only place where gambling is made normalized. If you have a smartphone, a laptop, or a video game console, gambling is a lot closer to your youth than you may think. As many parents know, video games, whether its on consoles, computers, and mobile phones, are an extremely popular time-killer for youth, teenagers, and young adults, and some games may be subtly influencing their players to gamble. Video games can be a fun pastime for youth, but it is important that parents know exactly what their children are playing and to make sure they are playing with moderation. At the beginning of modern video games, all the consumer had to do was purchase the console itself (including controllers) and the games to play. In today’s video game community, it is not so simple. Many popular video games have large amounts of microtransactions, which are purchases made within the game itself that players buy in addition to the original game. These in game purchases include items known as “loot boxes”, which are items that can be purchased that give the player a chance of collecting rare character outfits or more powerful upgrades for their character. These loot boxes can be found in popular games such as Call of Duty, Overwatch, Madden, and many more, all encouraging the player to put in extra money to have a chance at an in-game reward, essential working like a virtual slot machine. The rewards that players can get can either be extremely rare or extremely common, and of course the more rare the item is the less chance the player has of obtaining that item from the loot box. This is where the promotion of gambling starts to form. Younger players are spending more and more money so they can have a higher chance of getting something rare within their games, despite the chances of that happening being slim to none. According to research conducted by SuperData.com, individuals who play PC games spent an estimated collective $22 billion dollars on in-game microtransactions throughout 2017, which is double the amount spent in 2012. This increase shows how prevalent these forms of gambling in video games have become and how willing individuals are to spend real money for a chance to obtain virtual goods. The spending trend is not going to diminish anytime soon, so it is important that parents understand what purchasing options are truly present within video games, as well as how these loot boxes and microtransactions can influence players to gamble for virtual goods regardless of their age. The Southwest Council, Inc. provides educational programs to students across the Cumberland, Gloucester, and Salem counties, introducing youth to various character building skills such as how to cope with stressors in their lives, how to understand media around them, and how to make smart decisions, all which can be useful when it comes to discouraging addictive behaviors. If you are interested in learning more about what the Southwest Council provides for your community, please contact us at (856)-794-1011 or learn more about the strategies we use here. Kevin has been with the Southwest Council, Inc. since January of 2018 and serves as an Alcohol, Tobacco, and Other Drug Prevention Specialist. Kevin provides evidence-based school and community wide-programs in Cumberland, Gloucester, and Salem County. He also assists in facilitating Camp YEY. Continuing to build on previous success, the Southwest Council again hosted, for the 5th year in a row, its annual Tree of Hope Coffeehouse. Tree of Hope celebrates freedom from addiction, encourages individuals who are in recovery, and remembers those who have lost their lives to overdose. The coffeehouse creates a warm, hospitable atmosphere with music, coffee, food, and a place to come together in celebration as we aspire to be a healthy and whole community free from substance abuse addiction. The program is designed primarily around music and letting the commonality of music add to the anthem of recovery. About 80 people attended the event including various members of the local government; Cumberland County Prosecutor Jennifer Webb-McRae, and Human Services Director Melissa Niles. Both Webb-McRae and Niles spoke on the need for continued work to solve the issues of addiction hitting our area especially. They also discussed the importance of incorporating the recovery community into efforts of prevention. The community coffeehouse collected voluntary donations to support recovery services in the area. Commemorative ornaments were available for individuals to write names of their loved ones either suffering from addiction, in recovery, or to remember those lost to overdose. We would like to extend a special thanks to the individuals and organizations who participated and collaborated with The Southwest Council in the planning and implementation of the event, especially Restoration House and Millville Church of the Nazarene for providing the venue! For the past 25 years The Southwest Council’s sole mission has been to reduce the prevalent abuse of alcohol, tobacco, and other drugs through prevention, education, and treatment. If you are interested in receiving more information about The Southwest Council, and how you can support and sustain our mission contact us at info@southwestcouncil.org or 856.794-1011. For more information about the event or how to get involved in the future, please contact Matthew Rudd at 856-794-1011 x 307 or matthew@southwestcouncil.org. Whether we realize it or not, our brains are trained to automatically connect certain duos. Chocolate and peanut butter. Salt and Pepper. Bert and Ernie. Oddly enough, pairings can provide us with comfort and familiarity. However, some pairings can be destructive. For instance, substance abuse and addiction by themselves are already colossal burdens to endure; now, imagine adding in something as devastating as depression. At first glance, substance abuse and depression seem to fall prey to the ‘chicken or the egg’ phenomenon where it is not clear which came first. Despite the correlation, one does not cause the other. Substance abuse occurs when an individual has a recurrent use of alcohol and other drugs to the detriment of themselves, their family, friends, and personal and professional responsibilities. According to The Diagnostic and Statistical Manual of Mental Disorders 5 (DSM-5) a diagnosis of substance use disorder is “based on evidence of impaired control, social impairment, risky use, and pharmacological criteria.” Dealing with addiction as a daily struggle is one thing, but envision the parallel agony of depression. Defined in the DSM-5, depression is a mood disorder in which a person can experience persistent feelings of sadness and hopelessness and lose interest in activities they once enjoyed. Someone with depression may also exhibit physical symptoms such as chronic pain, digestive issues, weight loss, weight gain, or fatigue. It may be difficult for some to distinguish depression from being sad or just having a bad day. However, depression is a chronic issue that can persist for a few days, a few weeks, or a few years. There is no singular cause for depression. Genetics, grief, past trauma, or major life changes are just a few of the reasons why someone may experience this disorder. So, what is the connection? For some, substance abuse and depression can go hand in hand. They are referred to as co-occurring disorders. A co-occurring disorder is simply the coexistence of both a mental health and a substance use disorder simultaneously. According to Substance Abuse and Mental Health Services Administration’s (SAMHSA) national survey on drug use and health, “approximately 7.9 million adults in the United States had co-occurring disorders in 2014.” This severe statistic shows how prominently these two issues factor into one another. Co-occurring disorders are difficult to diagnose. Substance abuse can conceal symptoms of depression. In turn, symptoms of depression may look very similar to symptoms of substance abuse. Someone with a depressed mood may be abusing substances to feel or appear livelier. On the other hand, an individual experiencing such unending emotional pain may want to feel numb. While someone who has an issue with addiction and substance abuse may become depressed about the possible destruction their addiction is causing, creating a viscously cyclic destructively dynamic duo. The depressed brain and the addicted brain can be a funny thing. Certainly not funny in the sense that it is a laughing matter, but funny in the sense that it can be tricky, difficult or strange to articulate. Someone experiencing depression or addiction may feel speaking up means admitting that something is wrong and becoming vulnerable to the people around them. We may also feel that asking for help is saying that we could not do this on our own. We spend our time showing the world around us that we are just as competent and capable of leading a normal life while everyday tasks seem like monumental endeavors. How do we deal with this mental quicksand pulling us further into hopelessness? Thankfully, individuals who may be experiencing co-occurring disorders have options for treatment. When people do not realize that they have concurrent issues, they may worsen their problems by not receiving the proper treatment, or be unaware that the attempts to self-medicate with substances is only intensifying their symptoms. Integrated treatment is seen as the best course of action for co-occurring disorders by agencies such as SAMHSA. Integrated treatment is a method used by mental health professionals to treat both the substance abuse issue and the mental health disorder at the same time. This can enable individuals living through a co-occurring disorder can find an effective manner of coping and working through their challenges. Dealing with one disorder alone is an immense task that millions of Americans did not ask for, but cope with on a daily basis. However, there is a portion of our society that must face a double dose of turmoil on top of their daily lives. As daunting as it may appear, there is always a resource for assistance. It is encouraged that an individual seek assistance for their co-occurring disorder in the form of treatment and positive coping mechanisms. Agencies such as the Southwest Council provide integrated treatment methods to help service both substance abuse and depression. Southwest Council, Inc. services areas such as Gloucester, Salem, and Cumberland Counties for treatment and prevention services. For assistance or other resources, individuals can call 856-794-1011. Adrienne has been with the Southwest Council, Inc. since 2015 and serves as an Alcohol, Tobacco and Other Drug Prevention Specialist. Adrienne provides evidence-based school and community-wide programs in Salem County. Additionally, she helps to plan and facilitate Camp YEY. When the subject of substance abuse or misuse is presented, what image does your mind’s eye conjure? So often we picture a troubled youth heading down the dark tunnel of addiction. When we hear tales of addiction they come from every walk of life; from the troubled youth, the athletic teenager, and the stressed adult. However, substance abuse is a far reaching, multi-faceted social issue that can affect many aspects of our society. Although, one section of society that may not always come to mind when it comes to addiction is the senior citizen population. As with any title throughout our lifespans, we are given cultural labels and titles that we adhere to regularly. Seniors are often put into the category of ‘grandparent.’ Even the term ‘senior’ comes with its own connotations. Senior citizens are often seen as caring, nurturing, wise, and knowledgeable. While all of these attributes are admirable, giving someone a label makes it easier to disregard them or dismiss them as a three-dimensional being with individualized thoughts, feelings, and problems. Substance abuse and misuse is an overlooked issue among the senior citizen population. The aging process is not without its own complications. In addition to a decrease in physical well-being, seniors can also experience a loss of family, loneliness, fewer friends, or the loss of a partner. These are among the reasons why senior citizens may turn to drugs or alcohol in an effort to cope. When we study the causes of addiction for the varying age groups we see the source of the issue is distinctive for each age group. However, the physical, emotional, and behavioral consequences of addiction in senior citizens closely mirrors the rest of society. Prescription drug abuse and misuse is an important element in understanding how someone may become dependent on drugs or alcohol. Senior citizens are the most susceptible to the misuse of prescription drugs. More than 80% of seniors take at least one prescription medication, and more than 50% take at least 5 medications. Misusing medication includes: taking a medication concurrently with alcohol, taking a dosage that was not prescribed, using outdated medication, forgetting to fill prescriptions, missing doses, taking medication that is prescribed for someone else, or stretching out medications in order for them to last longer. Misuse of medication may occur for different reasons, but prevention is always a possibility. Individuals who feel they may be misusing their medications can speak with their doctors, use pill organizers, ask for larger print on their prescription labels, and coordinate their prescription use with their daily calendar. Detecting the signs and symptoms of drug abuse or dependence in seniors may be difficult because they can mirror the symptoms of other medical ailments such as depression, dementia, and diabetes. However, asking questions and raising personal awareness are both key factors in seeking assistance for the issue. Seniors may experience problems with memory, the desire to be left alone, changes in eating habits, changes in hygiene, changes in sleeping habits, irritability, depression, and lack of interest in their usual activities. Viewing substance abuse as an issue that can affect anyone is an unsettling thought, but when we arm ourselves with knowledge it becomes easier to combat the problem. Seniors in the throes of addiction or dependence can speak with their doctor, friends, and loved ones for assistance. Prevention is also key in lessening the scope of addiction. The Southwest Council employs curriculum such as the Wellness Initiative for Senior Education (WISE) in order to spread the message of seniors and addiction. WISE is an educational program that discusses the aging process while developing strategies to enrich and encourage a healthy lifestyle. For additional information about addiction, or the senior education program, contact the Southwest Council at 856-794-1011. Qato DM, Alexander GC, Conti RM, Johnson M, Schumm P, Lindau ST. Use of Prescription and Over-the-counter Medications and Dietary Supplements Among Older Adults in the United States. JAMA. 2008;300(24):2867. doi:10.1001/jama.2008.892. In today’s society people are faced with a variety of stressors, including finances, jobs, and school. According to stress.org 44% of Americans state they feel more stressed now than 5 years ago. When stress begins each person finds their own way of coping, but how can we distinguish between a healthy coping skill versus something that just makes us feel good? It is important to be able to identify healthy skills which can be as easy as a few deep breaths. It might seem rather juvenile to be explaining these coping skills but we seem to forget them. In our communities we would rather turn to something that gives us instant gratification such as alcohol or drugs. The dangers of coping in unhealthy ways can add up quickly. Using drugs and/or alcohol to cope is simply pushing down the problem rather than actually dealing with it. What is great about coping skills is that there are so many to choose from. Healthy coping skills come in all different forms. When you are feeling stressed at work take a few deep breaths and count to ten, or take a couple long sips of cold water. Some other skills that are more involved are going for a walk, exercising, or even talking to someone. The next time you are faced with a stressor see what healthy coping skill you use. Learning healthy coping skills from a young age is important to stress management as an adult. Southwest Council offers programs in schools that help students understand healthy ways to cope. In our Life Skills Training program, we have the students help us compile a list of healthy and unhealthy ways to cope. They are so creative in finding healthy ways to cope and often learn new ones. At home, families can sit down together to discuss stressors and identify how to cope together. If you, or someone you know, is in need of learning healthy coping skills please reach out to the Southwest Council, Inc. at (800) 856-9609. Beth has been with the Southwest Council, Inc. since 2016 and serves as an Alcohol, Tobacco and Other Drug Prevention Specialist. Beth provides evidence-based school and community-wide programs in Gloucester County. It’s no secret that social media plays a large role in influencing youth in today’s growing society, but what are some of the effects constant social media exposure can have on younger generations? Are they all bad effects? All good? Social media is how many young adults, teenagers, and youth in general communicate and express themselves in our large world, and sometimes this communication can be beneficial to users, and other times it can be more damaging to their overall mental health well-being. An estimate shows that in 2018 there will be 2.67 billion social network users worldwide, which solidifies the fact that social media is not going to go away anytime soon, so it is important that we utilize the positive elements that social media offers to youth and try to inform users the negatives that can occur from spending too much time in this virtual world. Internet and social media usage has been reported to affect various aspects of an individual’s livelihood. Because of social media, the youth have grown up in place where striving for likes on Facebook, Twitter, or Instagram is commonplace. When these likes don’t come rolling in, youth might have a negative experience on these social media sites, potentially damaging their self-esteem and causing depression-like symptoms. Two studies conducted in 2014 concluded that depressive symptoms (low moods, feeling worthless and hopeless, increasing sadness) were linked to whether or not online interactions were positive or negative, where the negative interactions, like cyberbullying, resulted in higher depressive symptoms. 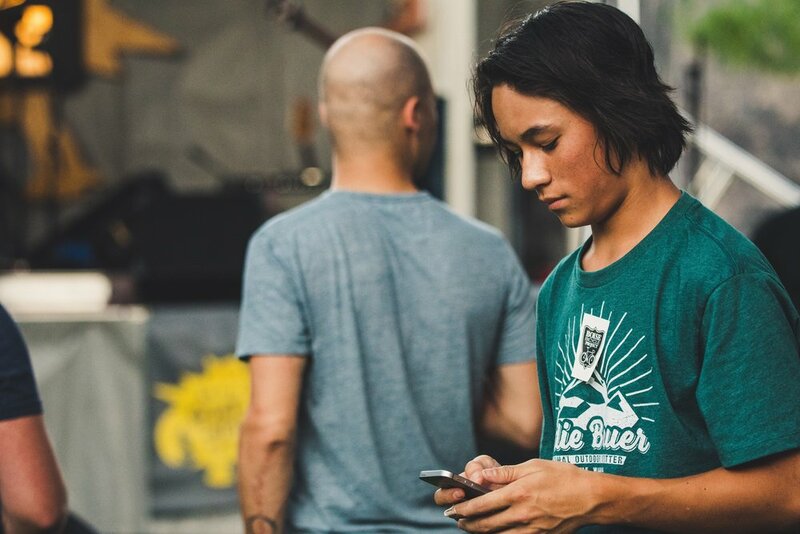 Whether the interaction is positive or negative, it is apparent that youth are becoming more and more dependent on social media usage and interactions. In 2011, researchers concluded that even though social media addiction is not included as an addictive disorder, individuals may still need professional help to handle their social media addiction. Those who used social media at an excessive rate showed more relationship issues, lower academic achievement, and less social interactions within the real world. Not all youth interactions with social media have to be viewed as negative or causing damage to their well-being; there are some positives that can come out of social media usage from youth. By being involved with social media, youth can become exposed to a wide variety of cultures, expanding their knowledge and awareness of what is happening around the world. Along with learning about various cultures worldwide, youth can explore their local community and discover resources and support groups to help them during struggling times. For example, teenagers who are part of the LGBTQ community or struggling with existing mental health issues might find it hard to express themselves within social situations, but through the power of social media and other online support groups these individuals can find friendships, a sense of encouragement, and help for developing social skills. As in most things in life, social media has its pros and cons, and it all comes down to the users experience online. Without guidance and proper knowledge, social media can be harmful to youth, decreasing their self-esteem and increasing risk of depression. It isn’t realistic to completely cut social media out of the life of teenagers, but it is realistic to inform them how to properly utilize online resources, including social media, to better their lives. The Southwest Council provides preventative in-school programs helping youth develop important life skills, particularly when it comes to maintaining a positive self-image, effective communication on and offline, avoiding risky addictive behaviors and much more. Talk with the youth in your home to see if they know how social media can be beneficial and harmful in their lives, and if they have ever learned about the topics that the Southwest Council prevention team covers. If you have any questions about the Southwest Council, or to see if your child’s school has a Southwest Council professional teaching this valuable material, visit http://www.southwestcouncil.org or contact us at (856) 794-1011. When not working, Kevin enjoys playing basketball, cheering on the New York Giants, and spending quality time with family and friends. He is currently pursuing an MS in Mental Health Counseling at Capella University. The Salem-Cumberland Regional Action Towards Community Health (SCRATCH) Coalition in collaboration with the New Jersey Department of Education, New Jersey State Interscholastic Athletic Association, and Partnership for a Drug Free New Jersey will address this question and more this Fall at Points Penalties Pills Youth Athlete Conference at Running Deer Golf Club. Points Penalties Pills is one of the many ways the SCRATCH coalition is working to prevent the abuse of addictive substances through strategic community partnerships. Our stakeholders come together monthly and participate in various action workgroups to focus on three areas of misuse: 1) alcohol, 2) marijuana and tobacco, and 3) prescription drugs. For more information about Points Penalties Pills or to join a substance abuse prevention workgroups contact SCRATCH Coalition Coordinator Donald Noblett (856) 794-1011 ext. 316 or at donald@southwestcouncil.org. For the latest SCRATCH Coalition updates follow us on Facebook at facebook.com/ScratchCoalition. Alcohol is the most commonly used and abused drug throughout the entirety of the United States, and more significantly, the most commonly used drug within U.S. youth. According to the Substance Abuse and Mental Health Services Administration, better known as SAMHSA (2015), by age 15 about 33 percent of teens have had at least one drink, and by the age of 18 that number increases to 60 percent. You may be wondering how these teens gain such easy access to alcohol, and the answer is right underneath your own roof. A survey conducted by the American Medical Association found that nearly one in four teens, aged 13-18, say their own parents have supplied them with alcohol, and two out of three teens, aged 13-18, said it is easy to get alcohol from their homes without parents knowing about it. As parents, it is important to understand the seriousness behind underage drinking and the dangers that can arise from allowing your teenagers to consume alcohol. “It’s only one drink” is not an excuse for allowing underage drinking to become commonplace within the household. During the teenage years, the brain is doing its most important development; when alcohol is thrown into the mix that development can be seriously disrupted. Some physical consequences that teenage drinking can cause includes: physical illness (hangovers, alcohol poisoning), changes and delays in brain development, increased memory problems, and increased chance of future alcohol addiction (CDC, 2018). Not only are their risks for the youth involved in drinking, but also for the individuals hosting the event. Under social host liability laws, parents are responsible for any underage drinking taking place within their homes. Parents must be aware that supplying alcoholic beverages to those underage is a crime and the parent doing so could be responsible for any injuries which the minor causes or sustains. N.J.S.A 2C:33-17 prohibits anyone from serving alcohol to minors or making their homes available for underage drinking. Both of these offenses are disorderly persons offenses, punishable by up to 6 months in jail and up to $1,000 in fines, as well as any damages awarded in a lawsuit. Parents who supply their children with alcohol are subject to civil and criminal charges. Even though your teenager’s health and wellbeing comes first, it is important to realize that it's not the only thing that is at risk when it comes to hosting a party where underage drinking occurs. As adults, parents, and concerned community members, there are many courses of action that we can take in order to make sure that teenagers are safe. Parents must understand that they are a major influence on their children’s attitudes and beliefs when it comes to alcohol. Even though it may not be the easiest conversation to have, parents must be able to talk to their teenagers about drinking, both how to drink responsibly when of age, and the risks that come with drinking irresponsibly. Ask your teens if they understand the risks that are associated with drinking underage, and if they know about the consequences that come with it. The Southwest Council is an agency that strives to educate and spread awareness to both youth and adults regarding substance use and abuse. You can find representatives of the Southwest Council within schools providing evidence-based prevention curricula to all grade levels, or within the community working alongside community members on numerous coalition initiatives. If you like to know more about what the Southwest Council can provide for you and your family, please contact us at (856)-794-1011 or visit us online at www.southwestcouncil.org/our-approach. On August 17, the Southwest Council wrapped up their second and final week of Camp YEY’s 11th year. Camp YEY (Youth Empowering Youth) began as an initiative of the Southwest Council in 2007 in hopes of developing youth leaders within the community. The activities and lessons that campers participate in during their time at Camp YEY focus around leadership. The goal has been to empower campers to make healthy decisions, so that they are able to serve as positive role models for other young people. For the past 11 years, the week-long summer experience has taken place at Camp Edge located in Alloway, NJ during two full weeks of August. Just this past August, Southwest Council staff served just over 130 Camp YEY campers ranging from youth entering grade 4 all the way through 8TH grade. Additionally, approximately 20 high-school-aged teens served as Counselor Assistants. The Counselor Assistant (CA) program was developed as a way to engage former campers in a leadership opportunity. In the spring, former campers who have aged out of Camp YEY were given the unique opportunity to apply for a CA position. CAs were then interviewed and those chosen attended an intensive two-day training with our staff prior to camp. While CAs served in several roles during their time at camp, they mainly supported Southwest Council staff in the implementation of Camp YEY’s daily activities. One of the most important daily activities is an interactive and educational lesson. The topics that are covered during the week focus primarily on character education (goal setting, communication, self-esteem, decision-making) with a brief insight to ATOD (Alcohol Tobacco and Other Drugs) use and how it affects the body. These central topics were reinforced through a number of exciting and dynamic activities throughout the day and week. The opportunity of activities that the campers participate in has broadened each year. This year, The Southwest Council introduced activities focused around mental health and wellness to the campers and CAs. Campers had the chance to participate in a yoga and meditation experience implemented by Erica Paciello of Santosha as well as a budgeting and life skills class provided by Alex DelCollo of Rutgers Cooperative Extension of Salem County. All campers also participated in Color Wars which consisted of daily activities that engaged campers in inspiring teamwork, team spirit, and problem solving through mental and physical challenges. Color Wars was huge hit each week for all the teams but ultimately only one team could hoist the prize box and claim glory. Week 1, the Green Camos set the tone early on and never really let up securing them the top spot on the pedestal. Week 2 was a little bit of a tighter race that dramatically came down to the final day when the Red Bulls claimed victory after a thunderous performance of their team cheer. Congratulations to all the members of both teams for a job well done! The Youth also explored all the amenities the camp has to offer including the high ropes course, archery range, Gaga Pit (Israeli Dodgeball), and a lake with opportunities for swimming and canoeing to give the students the full campground experience. At the conclusion of each week, families of campers were invited to a Family Fun Day which took place onsite. During their time at the campgrounds, families were immersed in the full Camp YEY experience - sitting in on lessons, participating in activities, and enjoying an awards ceremony where campers performed team cheers and showcased the posters that they worked so hard on all week. This year the SWC implemented a new “Olympic” themed reward system that was created to recognize students for their leadership efforts throughout each week. The Olympic Motto is “Citius, Altius, Fortius” which is loosely translated to Faster, Higher, and Stronger. At the end of each week, Team leaders recognized and presented medals to students who were FASTER than anyone to lend a helping hand, showed their abilities to lead the team HIGHER with their friendship and enthusiasm, and showed their capability of leading by example and building a STRONGER reputation than ever before. The incredible young campers received Medals as well as some cool Camp YEY insignia. After the conclusion of the ceremony, all families were invited to stay for a fun filled day provided by Masters of Magic and Fun which included carnival themed games, balloon animals, face painting, snow cones, popcorn, and even an opportunity to dunk their favorite team leaders in a dunk tank. Members of the Alloway Twp Fire Department came out to provide the kids with an opportunity to practice their fire safety skills. All attendees were also able to enjoy a barbeque-style lunch courtesy of Metz Culinary Management. Those wishing to dispose of unused, unwanted, and expired medications in the Mullica Hill area now have a new disposal site at the Harrison Township Police Department. The Gloucester Regional Addictive Substances Prevention (GRASP) coalition awarded the department with an American Medicine Chest Challenge permanent prescription drop box as a partner in curbing prescription drug abuse. The box is located inside the Harrison Township Police Department at 199 Colson Ln, Mullica Hill, NJ. It will be available to the public during normal business hours or when a police officer is present at the station. For additional information, residents may contact the police department at (856) 478-6839 or visit http://harrisontwp.us/municipal-departments/police-department/ for additional information. Harrison Township Police Chief Thomas Mills and Lieutenant Ronald Cundey joined forces with Candice Carter of the GRASP Coalition, to provide the prescription drop box to the Harrison Township community. When asked how the Drop Box would affect the Harrison Township community, Police Chief Mills stated, “This service will hopefully be a positive impact on our senior community, they will be able to get the unused, expired prescriptions out of their homes and by doing that it will prevent the possibility of other crimes being committed on their homes or with the pills ." With the installation of this drop box, the department adds an additional resource to the fight against drug abuse and especially the opiate crisis. The department invites residents, businesses, and other partners in the community program to use the drop box to prevent dangerous medications from falling into the hands of children or people suffering from addiction. Permanent drop boxes and the awareness campaigns surrounding them are an important part of reducing the abuse of prescription medication. When left around the house, unused or expired prescription medications are a public safety issue, leading to abuse, environmental harm and accidental poisoning. 2 in 5 teenagers believe prescription drugs are “much safer” than illegal drugs. Every day in the U.S. an estimated 2,500 youth take a prescription pain reliever for the purpose of getting high for the first time. The abuse of prescription painkillers is the leading cause of heroin abuse. Unused drugs that are flushed can also contaminate the water supply, thus proper disposal of prescription drugs does dual duty of saving lives and protecting the environment. The prescription drop box was purchased by the GRASP coalition, a substance abuse prevention coalition. For more information about GRASP and how to get involved, please visit southwestcouncil.org/GRASP or call 856-494-4950. Tiffany Hyndman joined the Southwest Council in October 2017, after she and her wife Crystal came through a Strengthening Families Program. It was while attending the Strengthening Families Program that Tiffany learned about Peer Recovery Coaching at the Southwest Council. 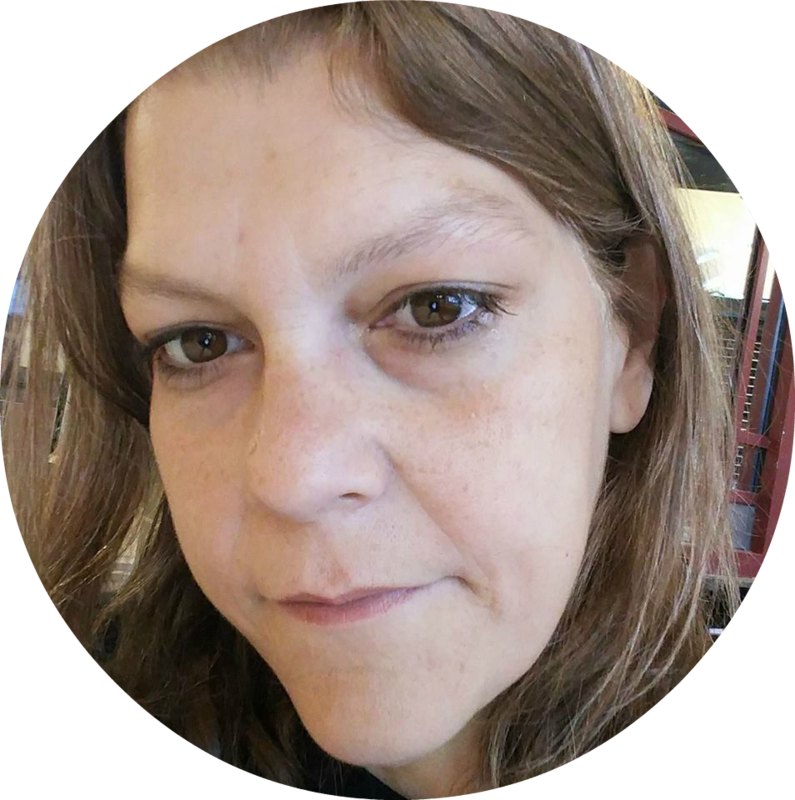 Tiffany joined the agency as a part-time recovery coach in the Opioid Overdose Recovery Program (OORP), and has been an integral part of our team ever since! On July 2, 2018 Tiffany and her family suffered a devastating fire to their home. Tiffany’s 12-year old son was home alone when he smelled smoke. He was able to get himself and his dog out of the house, but the family’s cat and bird succumbed to the fire. Tiffany and her family lost everything; the entire house was damaged beyond repairs. Tiffany, Crystal, and their two children Giovanni and Ally must find another location to call home. Currently, the primary goal is to secure housing for the family. There will be future outreach efforts for additional items once they get settled. If you would like to support Tiffany's needs you can give a tax deductible gift using through our donate link, be sure to write in "Tiffany Hyndman House Fire" in the notes section to designate the gift and we will be sure it gets to her. “Account. Secure. Dispose,” one of the newest community initiatives takes aim at the current drug crisis by educating on medication misuse and abuse, and gives participants proper medication storage and disposal tools to deal with unwanted medications. Unfortunately, prescription medications are abused often and can be just as harmful as illegal street drugs if they are not used correctly. Especially considering the staggering reality that prescription pain killers very often leads to heroin use, contributing to the ongoing epidemic that has come to forefront the last few years. Just the simple act of cleaning out your medicine cabinet can go a long way to protect your family from accumulating a drug problem and can even make your home safer from those who may have a drug problem or even a curious teen living under their parents roof. To date, the SCRATCH Coalition has served over 475 participants with this educational presentation and is currently seeking more opportunities to disperse this essential information. If you believe that this presentation may benefit your organization, your church, your employees, or even your circle of friends, please contact Ashley Mallon at Ashley@southwestcouncil.org or by phone at 856-794-1011 x318. Ashley joined the agency in 2014 and currently serves as the Salem-Cumberland PFS Coordinator. Ashley works closely with community organizations, municipal partners, and families by utilizing environmental strategies and initiatives that will reduce underage drinking and prescription drug abuse. Vaping is the hit new thing right now. Through advertising as a healthier option to smoking and offering users different flavors, Vaping usage is on rise. Vaping is not only an alternative to smoking, but is becoming a trend through users creating different blow talents. We must stop and ask ourselves is this really a healthier option? What’s really in there? The first thing we should look at is the “healthier option” to smoking. How true is that? Not at all true, in fact, many of the same cancer causing ingredients in tobacco products are found in vapes such as: nicotine, propylene glycol, lead, nickel, and tin. While some companies say they are nicotine free there are still the other unhealthy chemicals going into the user’s body. At least the flavors are all natural, or so one may think. The truth is not all of the flavoring is natural, and while some flavors are listed as safe for consumption, it is not intended to be inhaled directly into our lungs. There are still studies being done to determine the harmful effects of inhaling these flavors into the lungs. One of the chemicals found in e-liquids is called diacetyl. Diacetyl has been linked to a serious lung disease known as Bronchiolitis Obliterations or “popcorn lung”, a condition of irreversible inflammation and scarring in the lungs. In November of 2017 a new law passed in New Jersey raising the age requirement for purchase and usage of tobacco products to 21 years old from the previous 19 year old requirement. Since 2014, when e-cigarettes and vapes hit the market, tobacco usage has decreased in middle and high school students. However, the usage of e-cigarettes and vapes has increased. Despite the new law, youth continue to partake in vaping and using e-cigarettes. The vaping market has changed over time creating vapes that are smaller and more discreet making it easy for youth to sneak these items into schools. Youth are using these not only for vaping, but also “one hitters” for marijuana. Some vapes can look like pens, or everyday school items. One of the more popular and recent ones on the market, the “JUUL”, looks like a flash drive. On the website JUUL uses the line, “The Smoking Alternative, unlike any E-Cigarette or Vape…”. The JUUL is so popular among youth that Business Insider commented, “Among teens, the Juul is not just a noun. It’s also a verb.” This is something taking youth by storm. The Southwest Council offers presentations to adults 18 and older, one of them being a presentation on vaping. We include several vaping items, activities to test your knowledge, and the latest information in our vaping presentations. If you are interested in having a presentation, please reach out to the Southwest Council at (856)-794-1011 or visit us online at www.southwestcouncil.org . In a few weeks, it will be four years ago that my two year old daughter, Catey, was poisoned by a prescription medication called Amitriptyline. My daughter’s survival was nothing short of a miracle, and her poisoning was very much preventable. In May 2014, I came home to my daughter asleep on the floor in her bedroom making some strange sounds. When I went to check on her, she was beginning to have seizures, which she had never had before. When I pulled back the blankets, I realized that she had taken my prescription bottle of amitriptyline from my night stand. This particular medication is extremely toxic, especially to small children, yet ironically looks very similar to candy to a child and has a sweet-tasting coating. My daughter sucked the sweet coating off of these pills and spit them out when they became bitter, however, this medication is one of a list of medications that can be fatal in one dose to a small child. I knew this was bad, but I had no idea how bad. I could barely physically hold onto my daughter as I ran with her into the emergency room because of the seizures. She was making noises that I had never heard any human make before. My precious little daughter, my first child, who had been perfectly healthy only hours before, was unconscious, seizing and now could not breathe and needed to be intubated. I remember when the Life Flight technician was preparing her for the flight, she stopped seizing momentarily and her eyes opened. He said to her, “oh, there you are” but as her mom, I could see there was nothing there. The was no life behind her eyes. She had never been away from me and now, she was intubated and they were going to fly away with her, and there was no room on the aircraft for me. Catey was admitted to a pediatric intensive care unit, and she was placed on a ventilator. She was medically sedated and the specialists at that hospital prepared me for her inevitable death. They said that in over 20 years, they had never had a non-fatal outcome in a pediatric TCA (tri-cyclic antidepressant) overdose. They went on to advise me that they would be bringing in life support, for WHEN, not IF, she went into cardiac arrest. Her organs were too small and would be damaged by any efforts at resuscitation. So then we waited. Waited for her to go into cardiac arrest. Waited for her to die. I am sure it was not easy for the specialists to tell me that my child was going to die. The thought of losing my beautiful daughter because we had been so careless by leaving something I now know to be so very toxic, accessible to little hands, brought me to my knees. I could not hold her, and as the hours, then days, passed. Her body, which should have been up, doing ballerina twirls, was bloated and stiff. Her laughter was silenced. There were no hugs, no sloppy kisses, no sticky hands. She was gone, and I could have prevented all of it. Unbeknownst to me, the staff at the hospital called in an abuse report to Child Protective Services, since they did not know I was not home at the time, as she was under the care of my now-ex-husband. When Child Protective Services and the police came, I was advised that until the conclusion of their investigation I was prohibited from being alone with my own daughters and any other children. Now I faced losing my younger daughter, as well. As someone who took pride in being a good mother, this was like a punch to the gut. It took everything within me to be reminded that they were only doing their job. On the fourth day, incredibly, Catey had not yet gone into cardiac arrest. Her body had processed enough of the toxins that they were able to slowly reverse her induced coma to try to wake her. They removed the ventilator and she eventually moved into a regular pediatric hospital room. Child Protective Services were able to sort through the facts and lifted the restriction placed on me. They concluded it as an accident, and I was cleared of any child abuse or neglect. My daughter was released to my care upon her discharge. The reality is that my daughter’s survival was against all odds, it was a miracle. The fact is, that this could have so easily been prevented. I knew, or thought I knew, about home safety. I did not realize just how dangerous unsecured medications are. I am one of many parents who have faced the consequences of failing to realize that unsecured medication, in little hands, can be as deadly. Every day in the United States, approximately four bus loads of children are seen in emergency rooms for accidental medication ingestion, and half of all poison exposures are children ages 6 and under. No family should ever have to experience the pain of such a preventable tragedy and most families are not as fortunate as we were in her survival. I have since made it my mission to honor the gift of her life, of getting a second chance despite all the odds, by sharing our story and educating others, who like me, never gave it that much thought. In my efforts to transform this life-changing near-tragedy into an opportunity for help and hope, I connected as a parent with my local substance abuse prevention coalition, Cumberland County Healthy Communities Coalition (CCHCC). I now serve as the Vice Chair of CCHCC, a role I am proud of. I’m honored to work with such a fantastic team of community partners who are just as passionate about substance abuse education and prevention, as well as creating a safe and healthy community for all of us. As part of CCHCC, I have had the opportunity to offer an educational workshop we created called, “Account. Secure. Dispose.” This well-received workshop includes the how and why for proper accounting, securing and disposing of medications. Participants are provided with a MedTracker, a Timer Cap for prescription bottles, and Deterra drug deactivation pouches to ensure they not only have the know-how, but the resources as well to begin to Account. Secure. Dispose. Contact our coalition to join our efforts or to learn more about our initiatives. In the approximately 15 months we have been partnering with Inspira to resource the community with Account. Secure. Dispose., we have distributed more than 27,000 Deterra pouches to neutralize the components of unwanted medications, rendering them inert and ready for biodegrade disposal in regular household trash; without the worry of potential misuse, accidents, abuse, theft, or introducing harmful or even lethal chemicals into the environment. This was preventable in my home and it is preventable in your home. It is not worth the risk. Let’s all begin to Account. Secure. Dispose. and make our community safer and healthier. Cumberland County, NJ – 912,000, that is the number of pounds of prescription drugs Americans turned in last Fall at more than 9,600 sites DEA, state and local law enforcement partners. The Cumberland County Prosecutor’s Office, the SCRATCH & CCHCC Coalitions, and the Cumberland County Improvement Authority urges residents of Cumberland to bring their unwanted medication for disposal to participating drop box sites and police stations in their township. The service is free and anonymous, no questions asked. The next Household Hazardous Waste event at the CCIA will be on Saturday, April 21, 2018 from 8 am - 2 pm at the Cumberland County Improvement Authority located at 169 Jesse Bridge Road in Rosenhayn. The Cumberland County Sheriff’s Department Mobile Prescription Drop Box will be there, and at all of the 2018 Cumberland County Household Hazardous Waste events! Medicines that languish in home cabinets are highly susceptible to diversion, misuse, and abuse. Rates of prescription drug abuse in the U.S. are alarmingly high, as are the number of accidental poisonings and overdoses due to these drugs. Studies show that a majority of abused prescription drugs are obtained from family and friends, including from the home medicine cabinet. The usual methods for disposing of unused medicines—flushing them down the toilet or throwing them in the trash—both pose potential safety and health hazards. Additionally, the following Saturday, April 28 is an official Drug Take Back Day sponsored by the DEA. Overall, in its 14 previous Take Back events, DEA and its partners have taken in more than 9 million pounds of pills. For more information about the disposal of prescription drugs, locations for disposal, or about the April 28th Take Back Day event, go to the DEA Diversion website. Cumberland County residents can dispose of unneeded and expired medications and keep them away from those at risk of abusing them. A Drop Box can accept solid pharmaceuticals such as pills, capsules, patches, inhalers and pet medications. There is no limit. Contact the Sheriff’s Department at 856-451-4449 or visit their website or if you need additional information on the CCIA Household Hazardous Waste event access this link. Over the past few years, the Major League Baseball community lost many great faces of the game. The two that stick out the most to me are the deaths of former Cy Young award winner Roy “Doc” Halladay and the 24-year-old former Rookie of the year winner, Jose Fernandez. For those who do not know, Roy Halladay lost his life in November of 2017 after the plane he was flying crashed into the Gulf of Mexico. It was originally reported that blunt force trauma and drowning were ruled the causes of death, however the toxicology report stated that Halladay had a high amount of Morphine in his system. There were also trace amounts of Amphetamines that totaled up to1800 ng/ml, nearly three times the average overdose limit. Amphetamines are commonly used to treat Attention Deficit Disorder (ADD) or Attention Deficit Hyperactive Disorder (ADHD) but, could also be used to occasionally treat adults with Narcolepsy or Depression. However, if used incorrectly, an overdose of Amphetamines could result in hallucinations, restlessness and cardiac arrest which could potentially explain how Halladay lost control of the plane. It is fair to say that Halladay was using this combination of Opioids and Stimulants as an escape from the wear and tear that his exhausting 16-year baseball career left him. Fernandez on the other hand, who at the time was fighting with his girlfriend, became frustrated and depressed and decided to go for a late-night cruise on his fishing vessel. A few friends accompanied the star as he needed to blow off some steam. Unfortunately, that was the last trip they took as around 3 AM the boat struck a jetty right off the coast of Miami and killed everyone on board. The toxicology report later read that the MLB star, who was behind the wheel, had a large amount of cocaine and alcohol in his system. The deaths of these stars have brought great sorrow to the world, but they have also brought a very important message to kids. The big picture here is that both men were going through some emotional distress. Whether it was depression, anger, or maybe dealing with injuries, the athletes resorted to looking for an escape that inevitably took their lives. Although heartbreaking, this could act as a public service announcement that would make the public aware that no one person is indestructible. If this could happen to our pro athletes, imagine how this could be affecting our youth athletes. As a former three sport athlete and now coach, it is reasonable to say that this is something that could impact the lives of many other athletes. Regardless of the sport, there are many factors which can cause an athlete to experience stress or anxiety. The commitment of long seasons and daily practices cause constant wear and tear on an athlete’s body. The physical and psychological demands, paired with constant expectations of perfection, could be enough to push certain players past their limits. All these factors could go a long way in potentially causing stress and depression in their lives. The idea of being a perfect student as well as the star athlete is manageable for some, but it is still a substantial amount of work, having the potential to lead kids down the wrong path. When pressures to perform are taking over an individual’s life, it is common for those individuals to try to find ways to ease the pain. That being said, it is important to understand that neither drugs nor alcohol are the answer. I am sure that you are currently asking the question “Why does this matter to me?” and the answer is ALL athletes no matter the age, gender, or athletic ability deal with their own form of stress or pain. It is important to find a way to deal with it properly without harming themselves or their loved ones. If you or a loved one is currently suffering from emotional distress and resorting to substance abuse, please feel free to contact us here at The Southwest Council. For more information on how to identify this distress and help athletes; please attend our Points, Penalties and Pills conference that is taking place on Friday, February 23rd 2018 from 9am-1pm at Rowan College at Gloucester County.